Oklahoma Connection | Payne came to Tecumseh, Oklahoma, with his parents when he was three months old. In 1959 William Payne joined entrepreneur C.R. Anthony as one of only two Oklahomans to ever receive the legendary Horatio Alger Award. William Thomas Payne was born in Tecumseh, Nebraska and came with his parents by train, stagecoach and covered wagon to Tecumseh, Oklahoma when he was three months old. 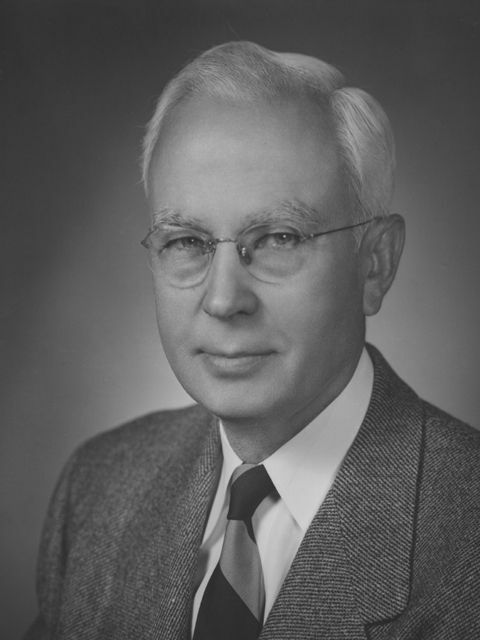 He earned a degree from Oklahoma A&M College (1915) and Massachusetts State College (1916) with plans to pursue a career in bacteriology, but plunged into the oil business in 1919 as a scout for the North American Oil Company in Cement, Oklahoma. He organized Helmerich & Payne, Inc. in 1925 and served as a representative for the company in the Oklahoma City boom development before founding his Big Chief Drilling Company in December of 1936. His work as an executive oilman and unassuming philanthropist was legendary across the state and around the world. See pictures of William Thomas Payne and other media HERE.